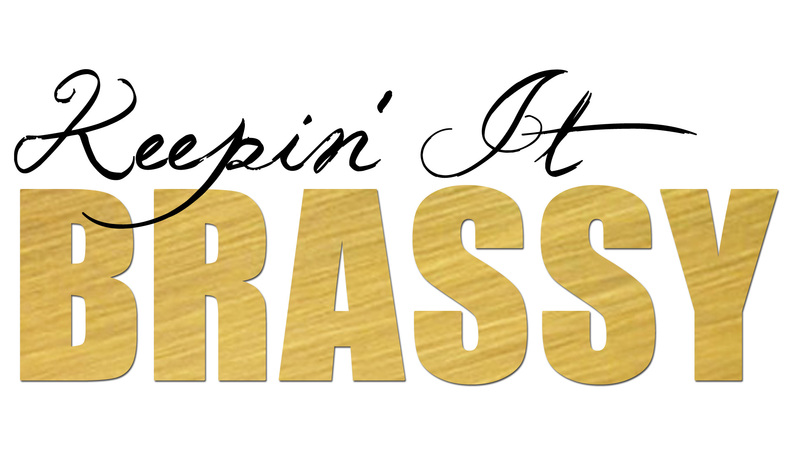 Trend Alert: Keepin’ It Brassy! 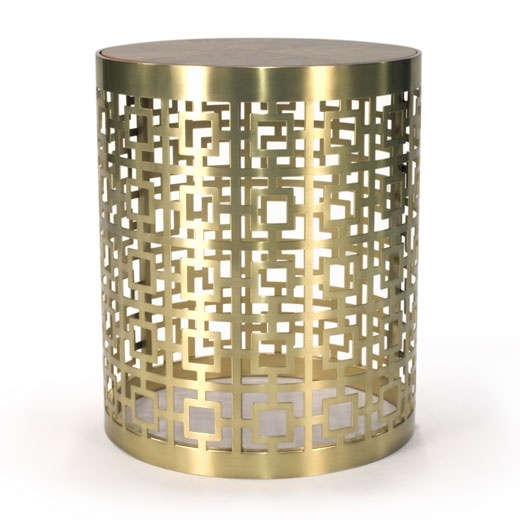 Brass is not just for doorknobs and switch plates. 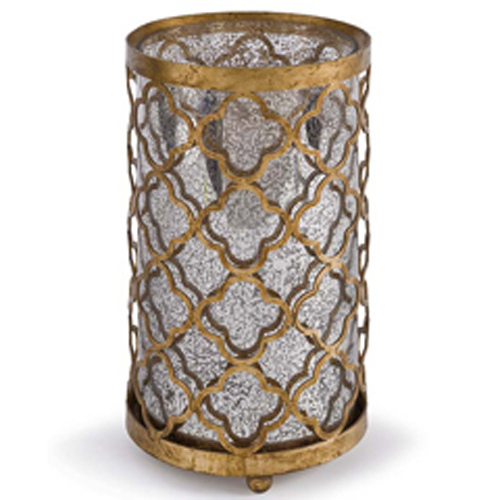 Brass has always been associated with traditional design but now it is popping up in all genres of home decor. We took a quick look around our J Banks Retail Store and recently completed projects, and selected a few of our current brass favorites. 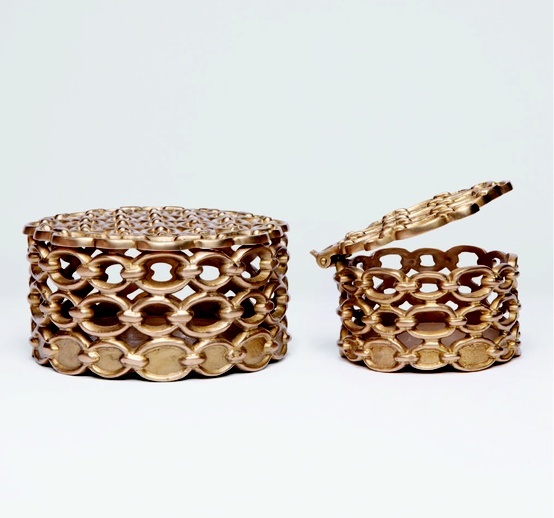 These brass boxes from our friends at Madegoods are chic and unique. 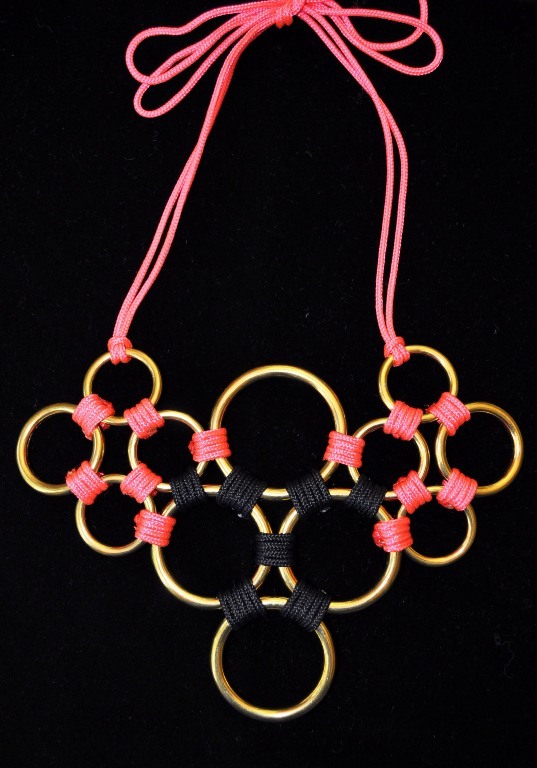 The brass color adds warmth and a bit of elegance to the industrial chain link design. 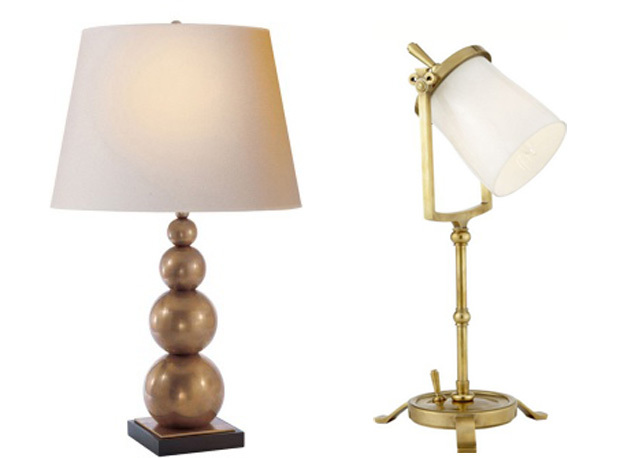 Many of our favorite brass accents are lamps. 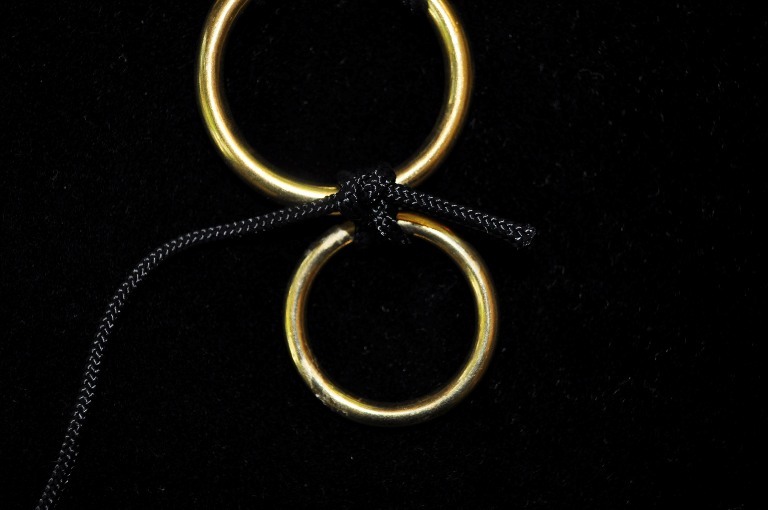 We love that brass comes in a variety of finishes such as oil rubbed (left) and polished (right). 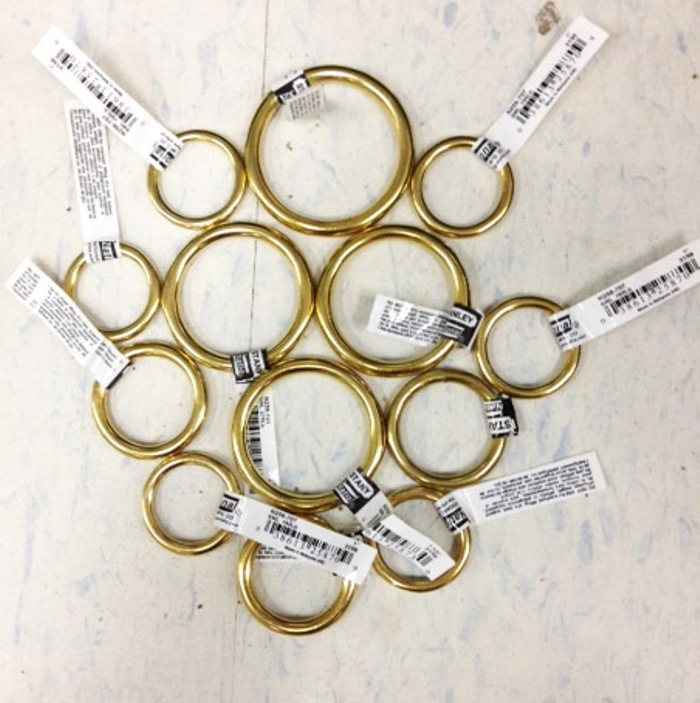 You can completely change the look of a brass piece just by altering the patina, or finish color of the metal. 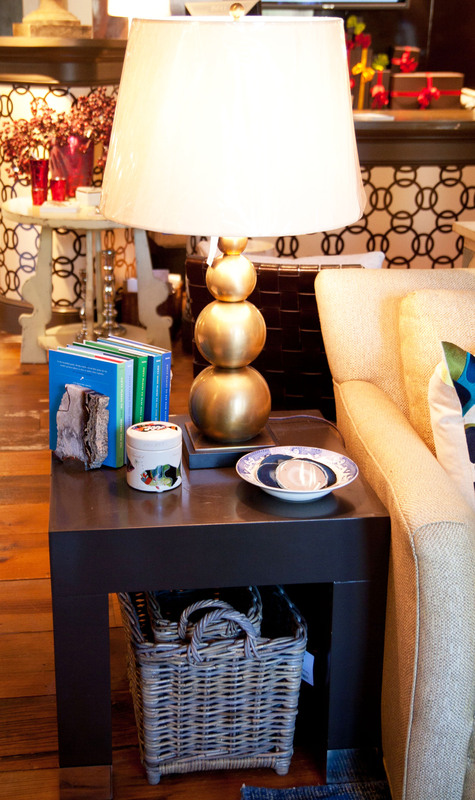 Designer Shelley Wilkins recently used the oil rubbed lamp pictured above in a residential project. 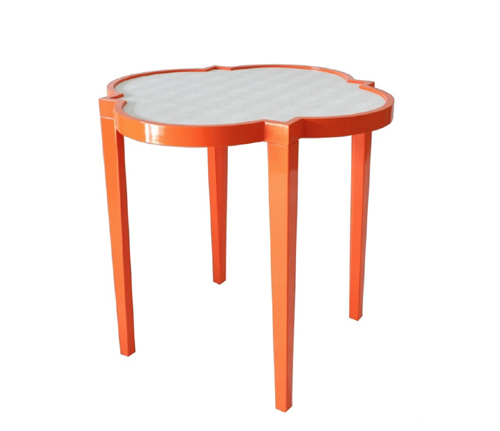 A staff favorite, this Nixon end table comes with a reversible top that is walnut on one side and orange lacquer on the other. 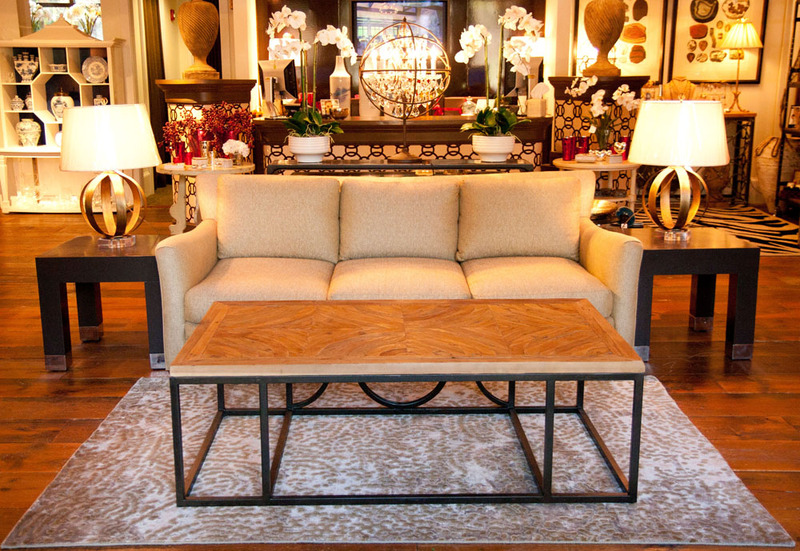 You may have also spotted this table in Andy Cohen’s Clubhouse on Bravo! This gorgeous oven is in Villa Scuola, located on the Castello di Casole property. 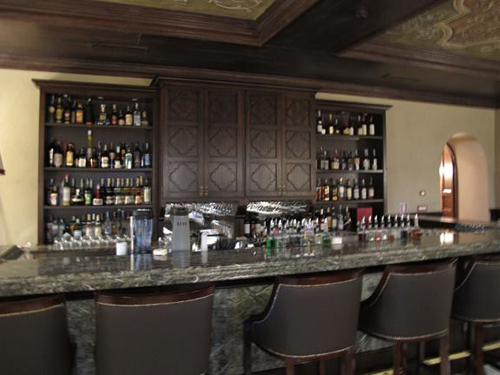 During our recent work in Italy on the interiors of the Hotel Castello di Casole we started to notice a trend. Quatrefoils everywhere! While this shape is certainly not new, (even the name is old meaning “four leaves” from the Latin quattor, four, plus folium, a leaf), we love the modern twists it has taken. 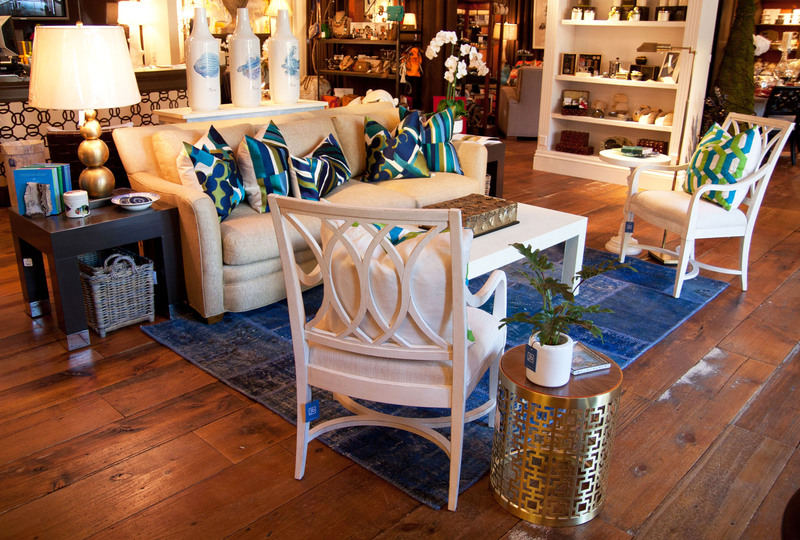 When we returned home, we began seeing quatrefoils in items in our Retail Store, and even in the J Banks Collection for Stanford Furniture. Take a look at what we found. This is a cabinet detail in the Hotel Castello di Casole. 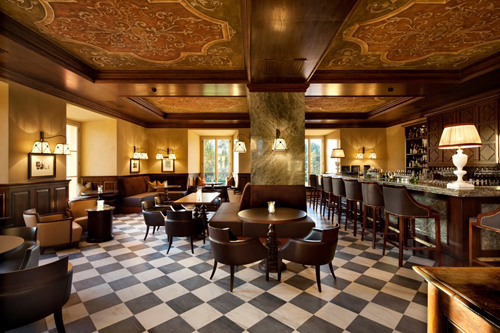 Do you spy the quatrefoil moulding in the Visconti Bar of the Hotel Castello di Casole? 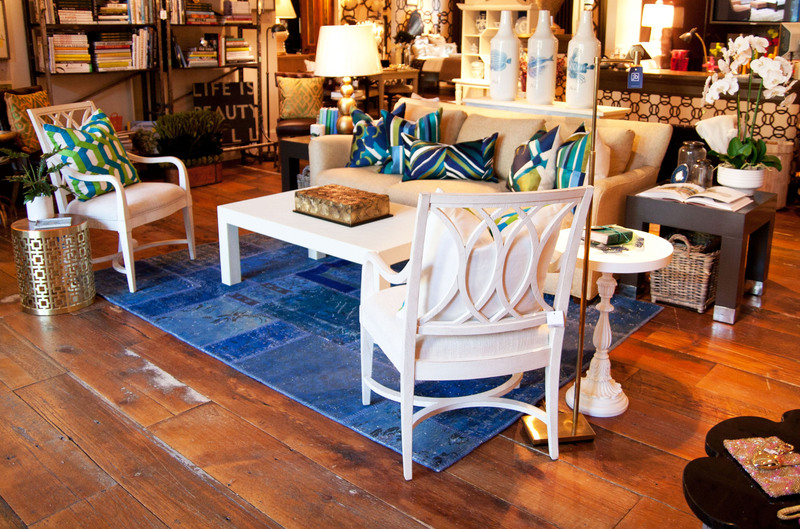 Joni fell in love with these Greenwich Side Tables at the Spring 2012 High Point Market. Oomph creates them in so many fabulous colors and finishes. 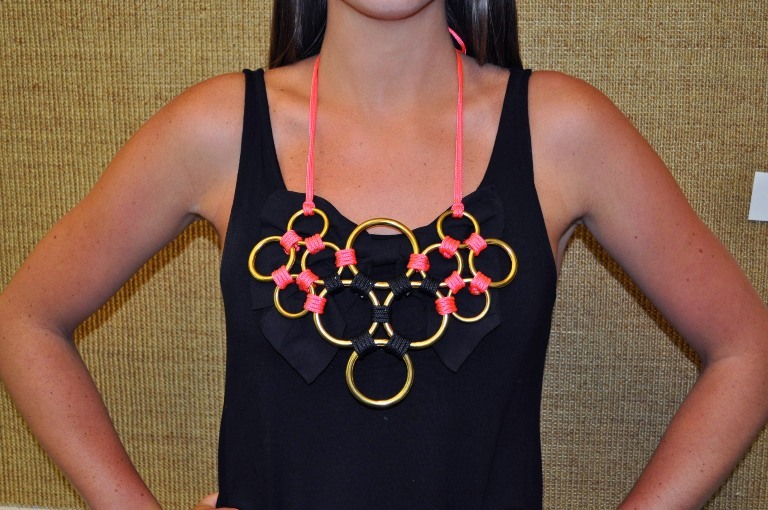 We adore this funky modern take using quatrefoils, and we can’t get enough of their creative creations! These hurricanes are elegant and classic. 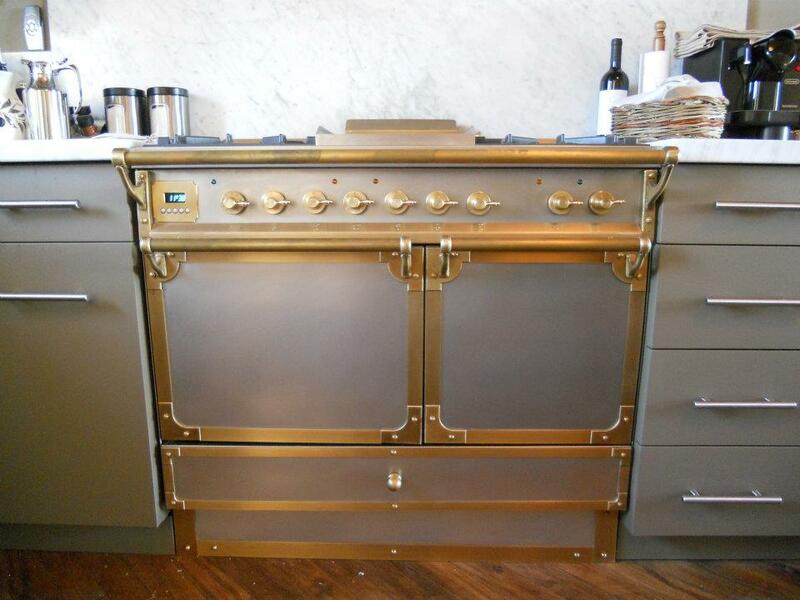 The combination of brass and mercury glass is just perfection. 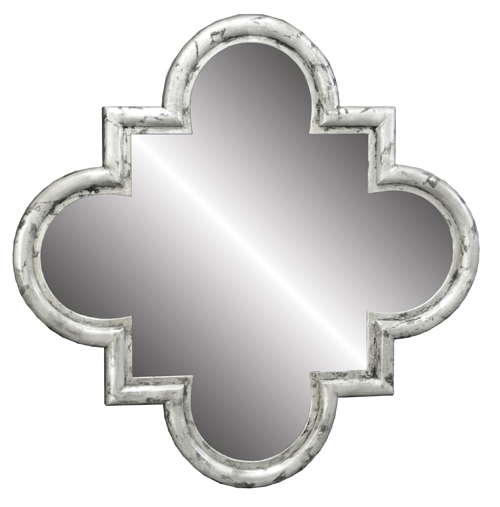 The Marianna Mirror is a new piece from the J Banks Collection for Stanford Furniture. 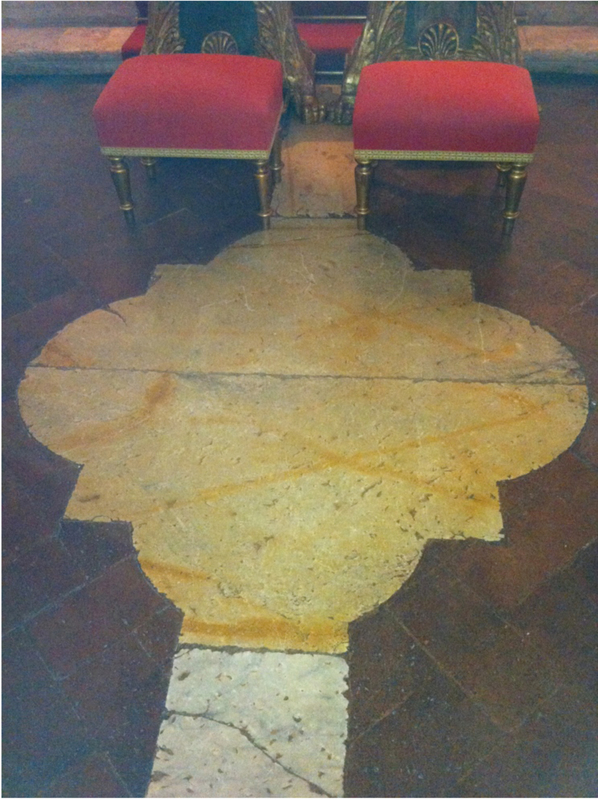 Joni based it on a chapel floor that she saw in Tuscany (see picture above). 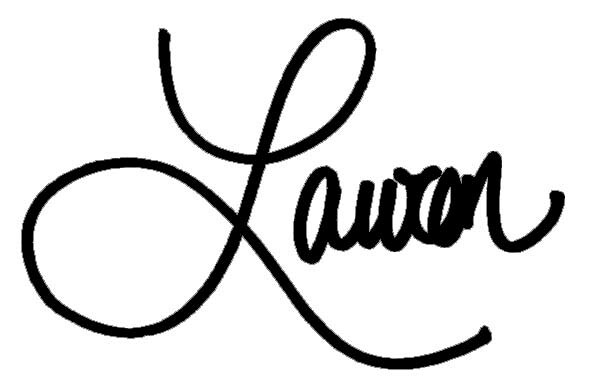 This particular version of the shape is called a ‘barbed quatrefoil.’ A barbed quatrefoil is a quatrefoil that has triangular projections at the intersection of two adjacent foils. This mirror can come finished in any Sherwin Williams color. The possibilities are endless! 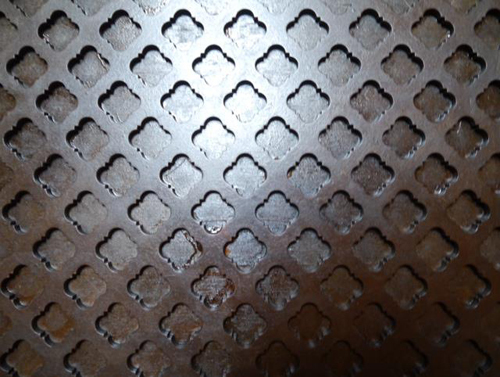 Where have you seen quatrefoils? 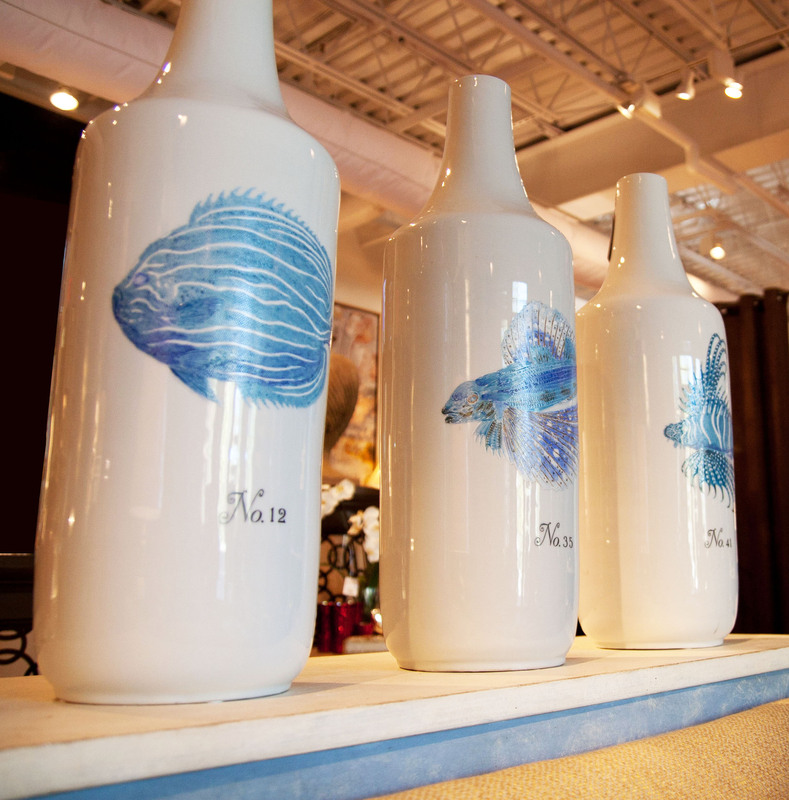 How would you incorporate them into your home decor? 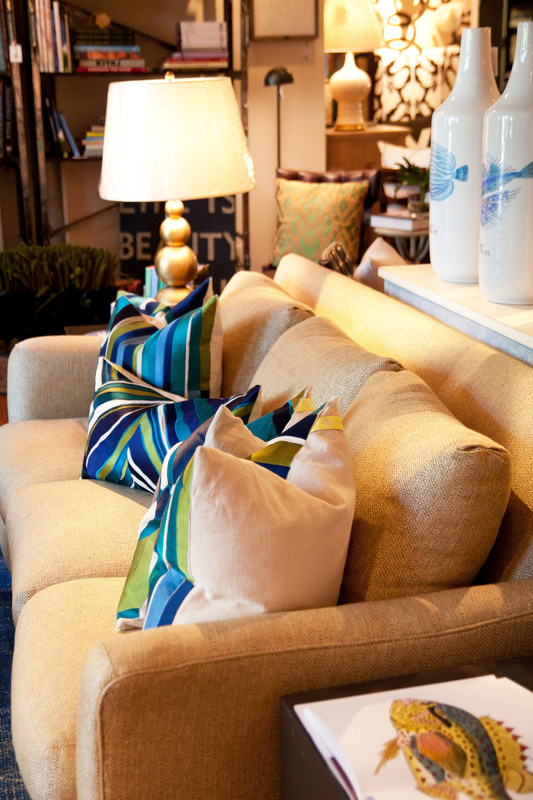 We took one sofa in our retail store and will have a different designer each week style the surrounding space using pillows, lamps and accessories. 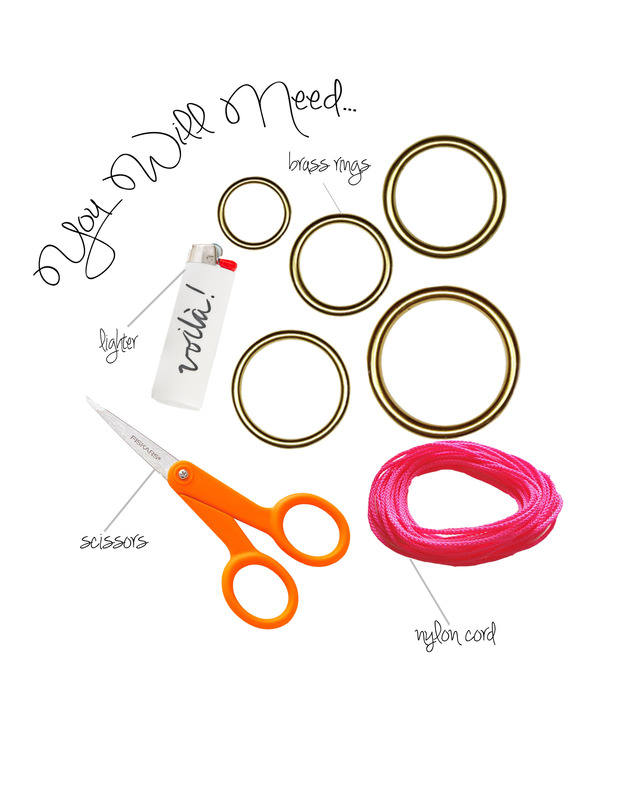 The end result will show how accessories can change the overall feeling of a room. JB: What did you want the mood or feel of the space to be? Hannah: To me, this space is a cool, comfortable retreat. The fish accessories hint at a location close to the water. I could see someone returning from the beach or lake and settling in comfortably for a cocktail. 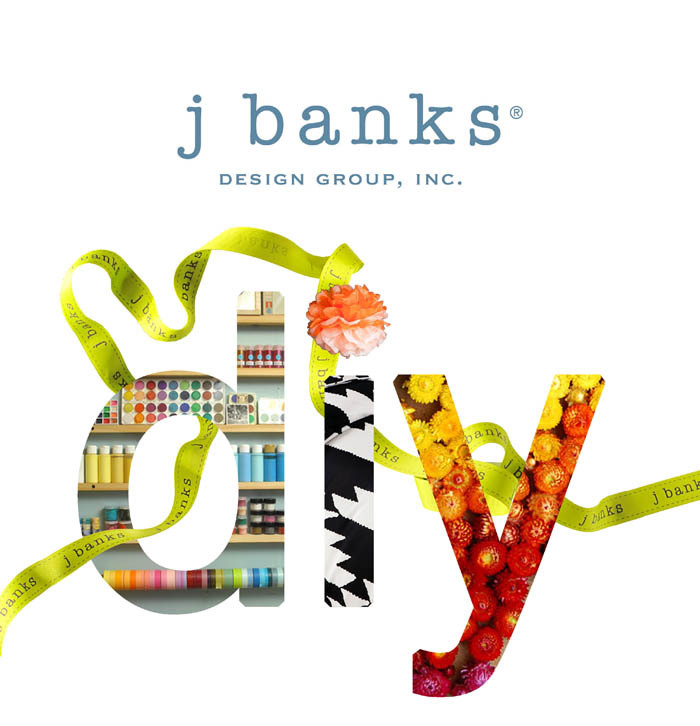 JB: What is your favorite item or items in the vignette and why? Hannah: I love the rug from KPM. It’s new but was made to look antique. 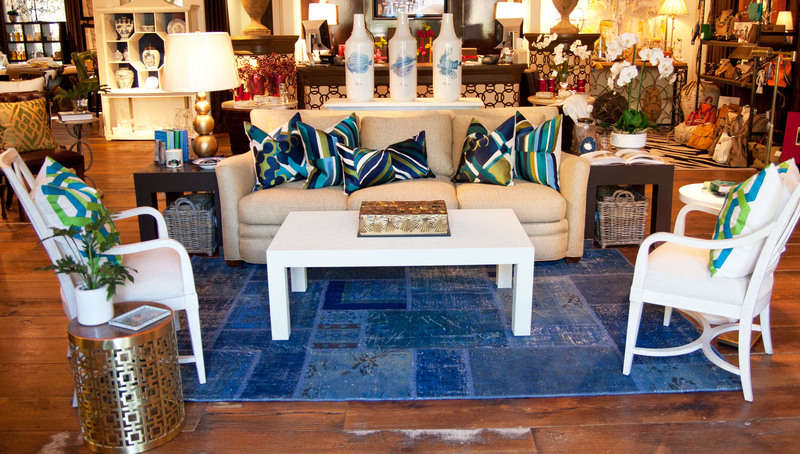 The shades of blues and the patchwork pattern really ground the vignette and reiterate the ‘fun yet sophisticated’ look. 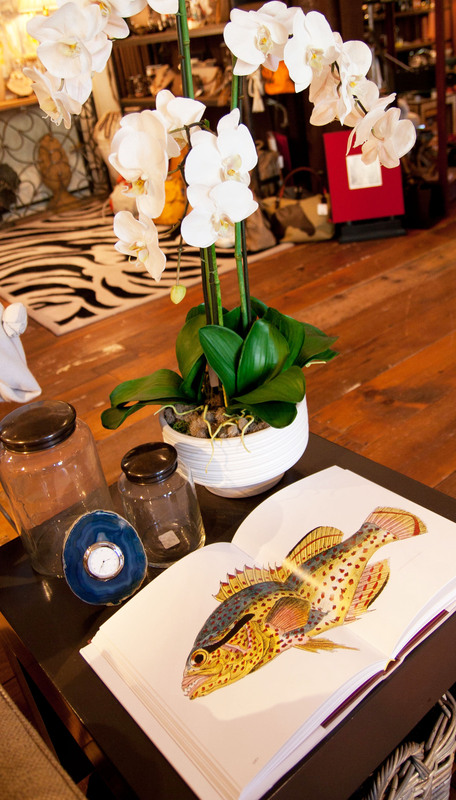 I always think antique elements and collected treasures add to the character of a room. 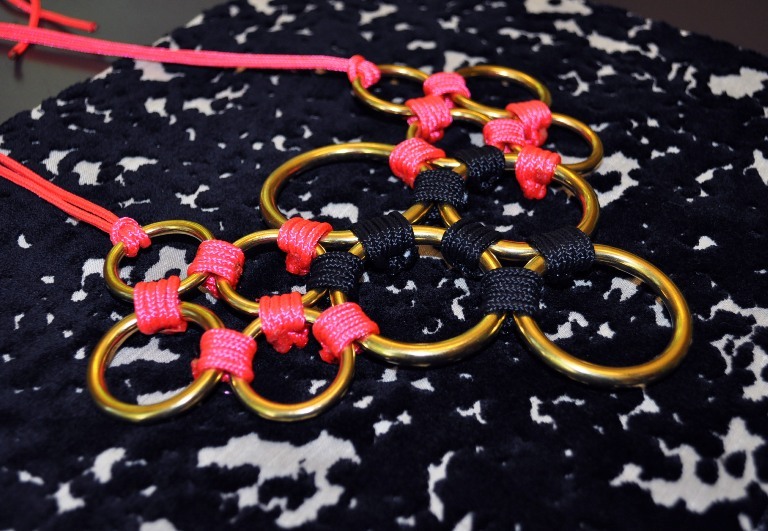 Hannah: I used accessories minimally so that there was an uncluttered feel. If I’m on vacation, I don’t want to be surrounded by things. Clean lines and ‘functional’ accessories like the baskets, clock, book and a box to hide remote control, etc. are key! JB: Tell us about your color choices. 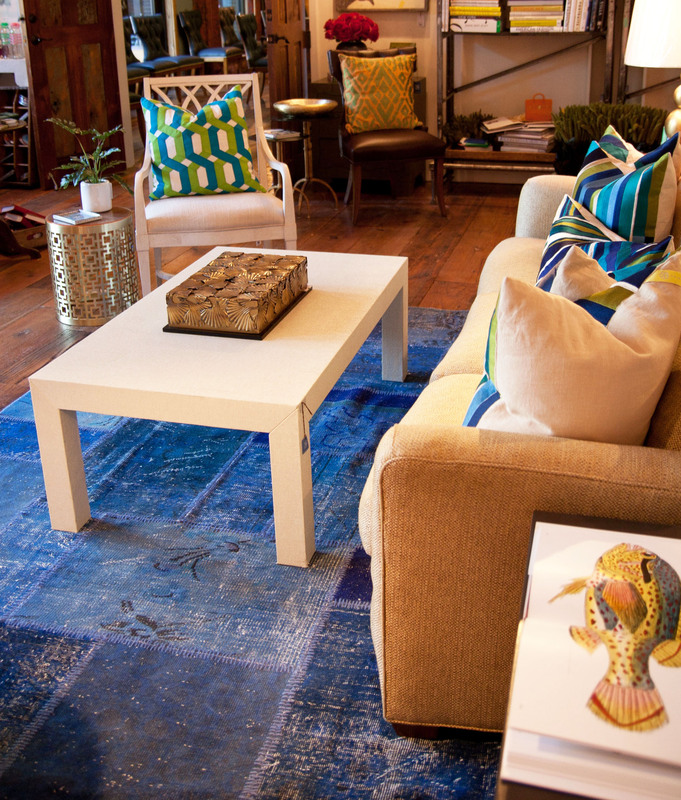 Hannah: I was inspired by our fabulous Trina Turk pillows in vibrant shades of blue and green. 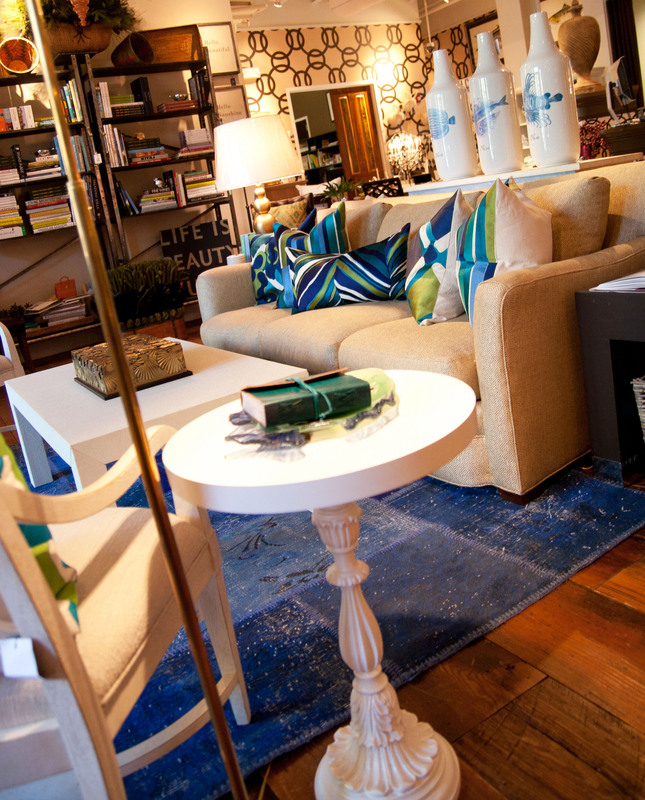 The pillows set the tone and really make the space pop. 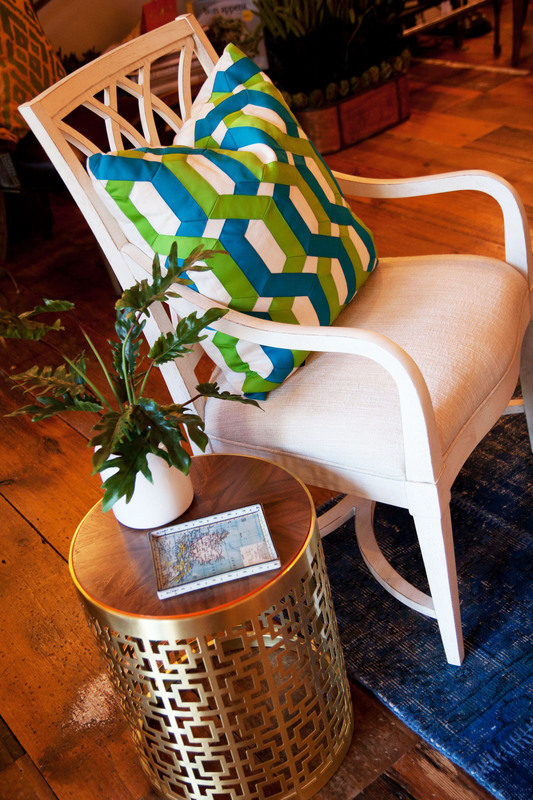 We love the sophisticated but relaxed space that Hannah created. 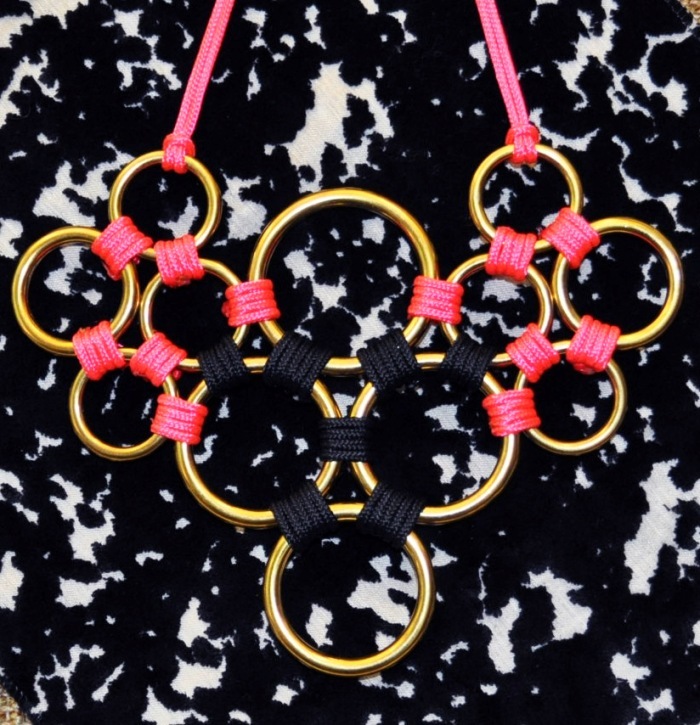 Keep following our blog to see more designer interpretations. If you’d like to purchase or receive additional information on any of these featured products please feel free to contact our retail store at 843.682.1735.